It's been almost two years exactly since I wrote my first article for Simple Good & Tasty, about taking my mother squirrel hunting for the very first time. Over the past two years, I've received some very good feedback about that article and best of all, I ended up meeting Mike Pugsley. A career musician in his 50s, Mike has been an avid shooter for most of his life but only hunted a couple times 20 years ago. He was interested in getting into hunting and doing some research online when he came across my squirrel article, in which I noted that I frequently take new hunters out and introduce them to the outdoors. After he called, and talked about squirrel hunting, we set up a time to go out. We headed out to a wildlife management area near my house. The first thing that Mike commented on was that he couldn’t believe we were able to drive 15 minutes away from a residential area and be out in the woods. One of the biggest obstacles for new hunters is finding an area to hunt in. Most of us don’t own private hunting lands and don’t know many people who do, so finding access to huntable land can be difficult. Fortunately, the Minnesota DNR has a list with maps of all public hunting lands on their website and you can look them up by county. Before heading into the woods, Mike and I talked a little bit about how we were going to hunt. 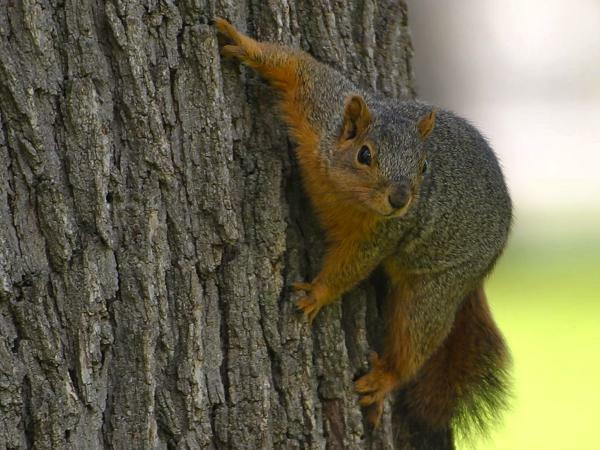 There are several methods for hunting squirrels but my preferred method is to find a spot that has a good number of nut-bearing trees like oaks, hickory, and walnut. And then find a spot where you have a good line of sight 360 degrees around. Then it's just a waiting game. In the early part of the season, the leaves are still on the trees, making it very difficult to spot a squirrel. It does, however, work to your advantage as well. When a squirrel moves through the trees you might not be able to see it, but there is a very good chance that you will hear it. All the leaves make a lot of noise and you can then pinpoint the squirrel's location. Then it's just a matter of being patient and waiting for the squirrel to give you a good shot. Squirrel hunting is a great way to introduce someone to hunting because it doesn’t require a lot of gear or even a lot of time. You don’t usually have to travel very far to find an area to hunt squirrels and it is something you can do for a couple of hours and still have some success. It is also a wonderful way to get comfortable in the woods. I told Mike that squirrel hunting is really the foundation for all hunting. I like to think of squirrel hunting as a lot like deer hunting. Many of the same skills are required — your game is just smaller. Mike and I hunted for about five hours and got three squirrels; I showed Mike how to clean them and gave him some tips about cooking them. I had been out hunting the previous week and had made a batch of squirrel and dumplings so I fixed Mike a plate and let him try some. He was amazed at how much that squirrel tasted like turkey. I thought it tasted a lot like squirrel. 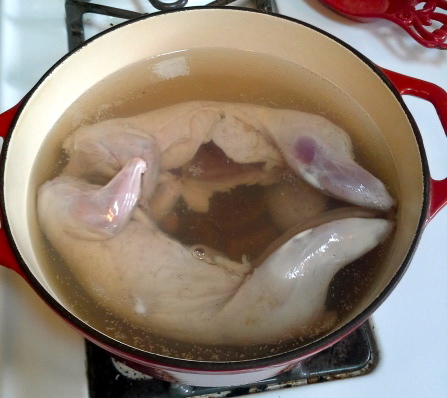 Place the squirrels in a large heavy bottom pot and cover with chicken stock, add the satchel and bring up to a simmer. Cover and simmer for 60 to 90 minutes or until the meat easily pulls away from the bones. Let the squirrels cool and then pick all the meat off the bones. Leave the stock in the pot and remove the satchel and discard it. Combine all the ingredients to make the dumpling batter. Bring your stock back up to a boil and then drop the batter in by the spoonful. Let the dumplings cook for about five minutes then add all the squirrel meat back into the pot. Cook for about 5 more minutes. 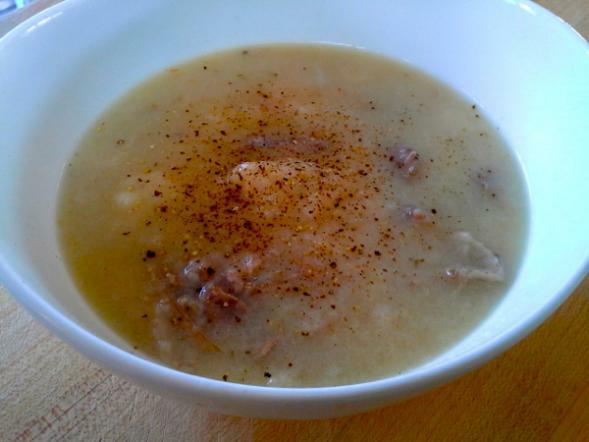 The dumplings should have a firm texture and the stock should have thickened into gravy. Season with salt and pepper to taste. Want more of Jamie Carlson's insight into cooking and creative use of wild and farmed meats? Then check out his Cooks of Crocus Hill class, "Fresh Off the Beaten Path," on November 1st. 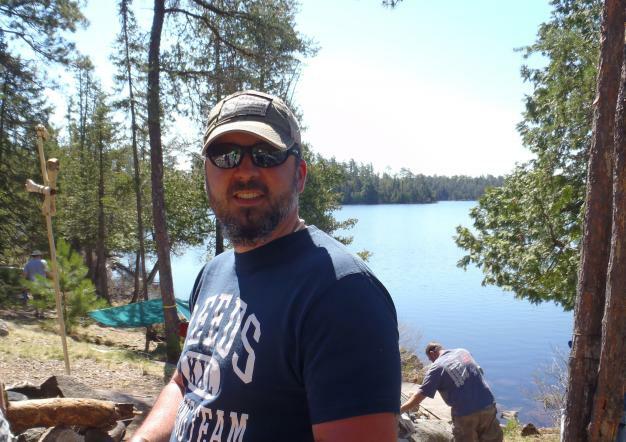 Jamie Carlson lives in Burnsville, MN with his wife, Amanda, and their two kids Eleanor and Charlie. He works as an RN at the Minneapolis VA hospital. He enjoys hunting, fishing, foraging, and, of course, cooking. He believes that all food can be tasty if it is prepared with care, and he writes about his adventures on his food blog, You Have to Cook it Right. Follow him on Twitter at @youcookitright.